Images and videos are becoming an increasingly important element in the workflow of most enterprises. Content is growing from a broad range of sources and, while it is important enough to be of significance to the enterprise, it cannot be managed easily. By providing a comprehensive set of automatic indexing, searching, and auto-tagging capabilities, piXserve has become an indispensable tool in many enterprise and government environments. Whether you are a small workgroup or a large enterprise, there is a version of piXserve that addresses your needs. Learn more about the growing metadata challenge and how piXserve can help your organization keep up with the growing complexity of images and videos in your workflow. 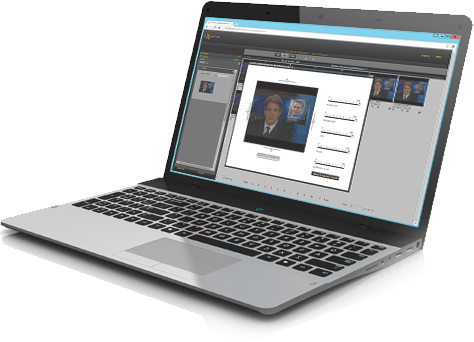 piXserve can help your organization make sense of image/video data collected from a variety of sources. Use the piXserve functionality to help improve staff productivity and the effectiveness of their investigative work. The ability to search, discover, and correlate visual information "on the fly", is now at your fingertips. piXserve is a general-purpose image/video search with advanced capabilities that can help your organization solve difficult problems that are critical to carrying out your organization's mission. piXserve works in your environment, at scale. piXserve’s computer analysis of video can fill the “metadata-gap” faced by many media organizations. piXserve generates useful and detailed descriptions of video content automatically, and without human intervention. You can use piXserve to automatically tag content and make it easier to re-purpose the right snippet to the right audience. You can now do this cost effectively, quickly, and with a high level of granularity. You can use piXserve to monitor ad compliance. You can use piXserve to find content-embedded advertisement opportunities and promote those to the right audience. You can do this and more while retaining full control of your valuable assets at all times. piXserve runs on your data, in your data center or designated cloud, fully under your control. piXserve’s ability to recognize objects in pictures/videos makes it possible to mine visual data for the purposes of analyzing information about shoppers and consumers both online and in a physical store. For example, piXserve can recognize products on the shelves of retail stores and supermarkets. The software can scan through pictures/videos taken in the store, and recognize the specific product on display on the shelves.